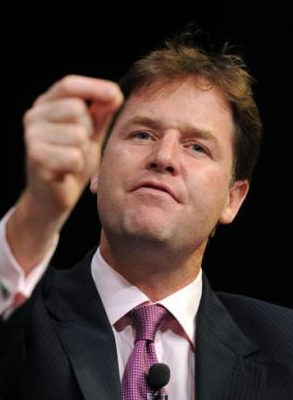 The coalition government’s Your Freedom website has, according to Nick Clegg, been “helpful and really exciting”. It’s been going nearly a fortnight now and anyone who has tried to visit it will have their own experience of how popular and therefore slow and busy it is. The single most remarkable thing about it though is the massive outcry for the legalisation of cannabis and an end to the war on drugs. I don’t believe that people’s opinions have suddenly changed. It’s just that they’ve been given a forum in which to express their views. If the government doesn’t do something about this issue now they’re going to look pretty stupid. Mind you, during Obama’s transition, after the election but before the inauguration, he introduced the idea on his change.gov website. 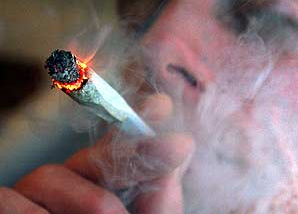 Legalisation of cannabis was the winning idea but it wasn’t adopted. However, it is true that Obama has made big changes in favour of medical marijuana and that the war on drugs is clearly over. The site itself is an object lesson in how not to set up an internet presence. The chosen technology is absolutely useless. Seriously, I don’t think I’ve ever seen anything so bad. HMG could have achieved a much better result with an off-the-shelf WordPress blog just like this one. This is just another example of the now proven theory that anything the government does with IT will go wrong and cost a fortune. Who are the idiots who were employed to set up this site? It is completely overloaded and incapabable of handling the traffic it generates. The software used for adding comments is the worst I have ever seen anywhere on the web. When a commenter presses the “add comment” button there is no positive response. Given how totally overloaded the site is it can take several minutes for the post to appear. In the meantime, the commenter has pressed the button another four or five times before giving up. Multiple copies of comments appear and the system slows down even more. The moderation policy is bizarre to say the least. It’s glaringly obvious that no thought at all was put into how to organise suggestions. Consequently, there are literally hundreds of ideas that are almost identical. Some of these are closed by the moderators and referred to another similar idea – but some aren’t. They’ve learned nothing from the petitions section of the No 10 website. It is just crazy! There’s a strong suspicion of gerrymandering or tinkering with the posts, the votes and the comments. It may just be the chaos of the site itself but it feels wrong. There are dodgy things going on behind the scenes and protest is snuffed out. Overall, I’d rather we had the site as it is than not have it at all. It’s just embarrassing though to see how bad it is. It remains to be seen whether the government will take any notice. If not though they’ve made a rod for their own back.